In this scenario we’ll look at constructing a release pipeline for a web application by provisioning a DevTestLab virtual machine in Azure using AzureDevTestLabs, we’ll then run a DSC script to bring the virtual machine to the desired state of a web server. We’ll then deploy the web application on the newly provisioned web server. Then deploy a test agent to run Selenium based functional tests. Once the application has been successfully functionally tested, execute performance tests. At this point, take a snap shot of the virtual machine into a custom image in the AzureDevTestLab and then finally delete the virtual machine. 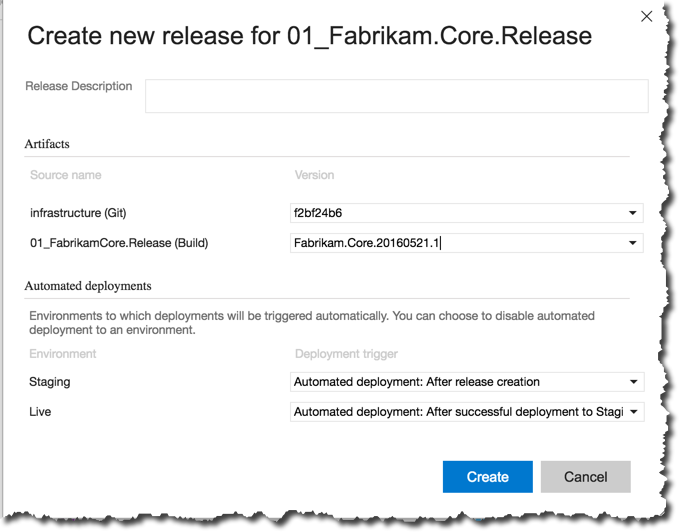 Now that we have an artifact ready to be deployed, let’s step through the release process in detail. 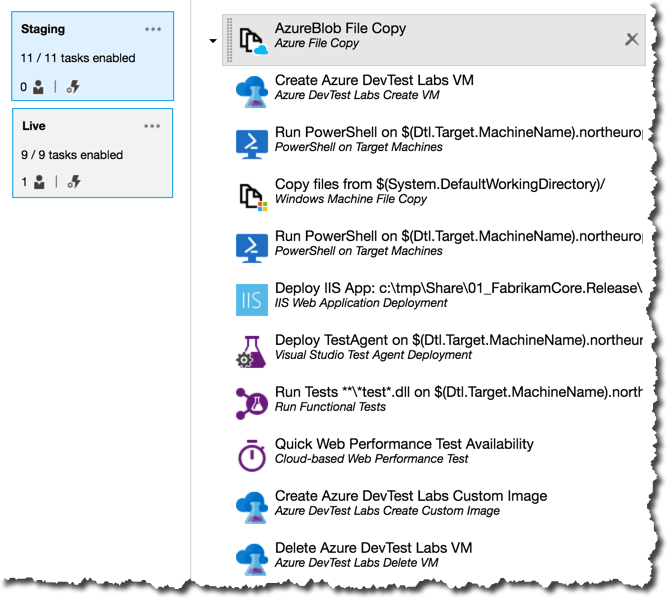 Copying files into AzureBlog: Since virtual machines in AzureDevTestLabs share the storage of the lab rather than having a storage device per virtual machine, the AzureBlob File Copy task does not allow you to copy files into the virtual machine. In this demo, I am using a basic Windows Server 2012 R2 image from the Azure Gallery, this image is not set up with any exceptions. There is no easy way to copy files into the virtual machine. I am going to open an SMB network share on the virtual machine to simply file copy operation on to this virtual machine. However, instead of pre-configuring the SMB I am going to configure the SMB as part of the build process. I am using the AzureBlob File Copy task to copy a PowerShell script from the source control into a container in the DevTestLab storage that I’ll later execute using VSTS to provision a SMB fileshare on the virtual machine. As you can see in the task configuration, I am using the build number to prefix the folder in the blob storage with the version of the build containg the script. Download file from URI: You can read more about the download file from URI artifact here. The purpose of this artifact is to download the powershell script from the blob storage into the virtual machine. Configure WinRM for Https: I’ve written a seperate blogpost on how to use a custom script artifact to configure WinRM using ARM template Configure WinRM with ARM template in AzureDevTestLab VM deployment using PowerShell artifact. The purpose of this artifact is to configure WinRM for HTTPS access so the VSTS hosted agent can orchestrate remote powershell tasks on this virtual machine. Configure SMB NetworkShare on AzureDevTestLab VM: As part of the VM provisioing process the artifact WinRM Https configuration set up the virtual machine for WinRM access over HTTPS. In addition to this the other artifact copied the configureSMB.ps1 script from the blobstore into the virtual machine. 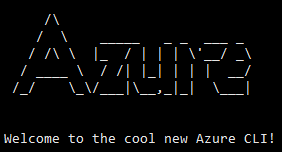 Now I am going to use a remote powershell execution task to trigger the execution of this PowerShell script in the AzureDevTestLab VM. The PowerShell script simply creates a folder called Share under C:\tmp and then opens this Share up for SMB access, this task also enables access on the pre-configured firewall rule for File and Printer access on this machine. New-Item -ItemType Directory -Force -Path "C:\tmp\Share"
New-SMBShare -Name "Share" -Path "C:\tmp\Share" -Description "A Share"
Windows Machine File Copy: Now that the SMB network share is configured. I am going to use the Windows Machine File Copy to copy scripts onto the newly provisioned virtual machine. In this case I’m going to copy the entire working directory of the release agent. This will copy all release artifacts associated to the release definition. In this case I’m going to copy a DSC script will ensure that the newly provisioned image has IIS and .NET 4.5 configured. Trigger DSC Script to provision IIS & .NET 4.5: Now that the DSC script has successfully been copied on the newly provisioned AzureDevTestLab VM. I’ll use the PowerShell remote execution task to trigger the DSC Script. IIS Web App Deployment using WinRM: The IIS Web App Deployment task is available from the Visual Studio Marketplace. This task allows you to specify the locaton of the Web Deploy package, configure IIS by specifying the website and application pool configuration. Deploy Test Agent: The test agent deployment task allows the installation of test agent on the target machine. This Test Agent can then be used to enable data collection or run Distributed Tests using the Visual Studio Test using Test Agent task. Run Functional Tests: I’ve some selenium based functional tests that I would like to run after the deployment. Now that the Test Agent has been installed, I can use the collector capabilties of the test agent to collect information about the test execution including code coverage. The tests are being passed to the release definition from the build definition through artifacts. The benefit of this handover between build and release is that the test coverage is made available in the build as well. 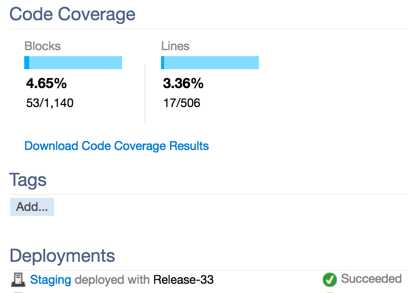 You can see the test coverage starts to show up in the build summary as the tests have been executed using the test runner. Quick Web Performance Test: It would be good to run ping tests against the web application to validate the end points in the target application. In order to do this, i am using the Quick Web Performance Availability Tests Task. Capture Custom Image: Now that the software has been deployed and tested, it is worth capturing the state of the virtual machine as a custom image. This is specifically useful if you identify a bug in the process and want to reproduce the bug on the same virtual machine, having the virtual machine as a custom image will help you in potentially reproducing the bug quicker. Delete AzureDevTest Labs VM: With the infrastructure deployed from scratch, the software deployed & tested and the state of the virtual environment captured as a custom image it seems sensible to delete the virtual machine. The AzureDevTestLab extension provides a task to delete an existing DevTestLab VM. As you can see below, I am passing $(labVMId) as the Lab VM Id to be deleted. This parameter is populated as part of the Create VM task, I am simply repurposing the same parameter to delete the virtual machine created earlier in the process. As you can see in the screen shot below, I’ve created environment variables for most of the parameters being passed into the task configuration. 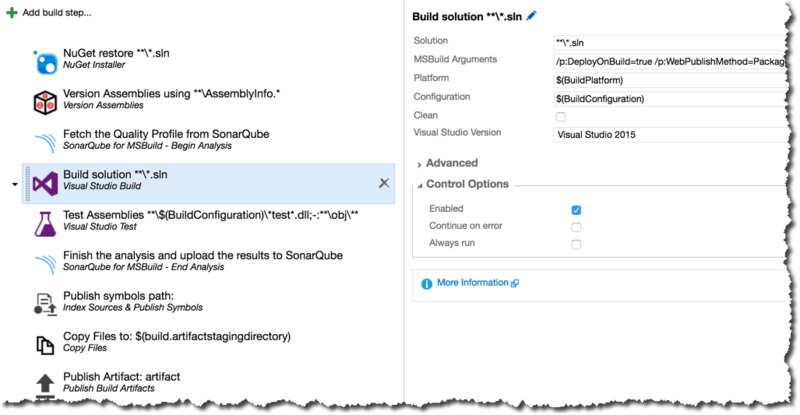 I am using the infrastructure repository as an artifact in addition to the mapping with the build definition. This is useful since infrastructure team can help enrich the infrastructure repository by creating the ARM template. 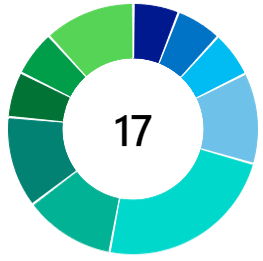 With the build and release process integrated and the release pipeline successfully configured. Queue a new build to trigger the release process or alternatively queue a release manually to reuse the last successful build to create a release in the staging environment. 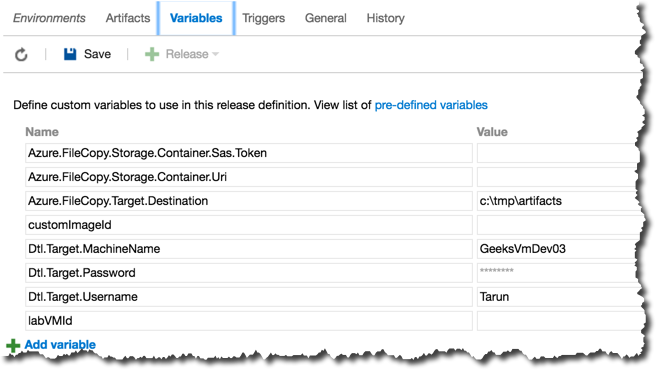 In this blogpost we saw how easy it is to bring environment provisioing into your release pipeline. 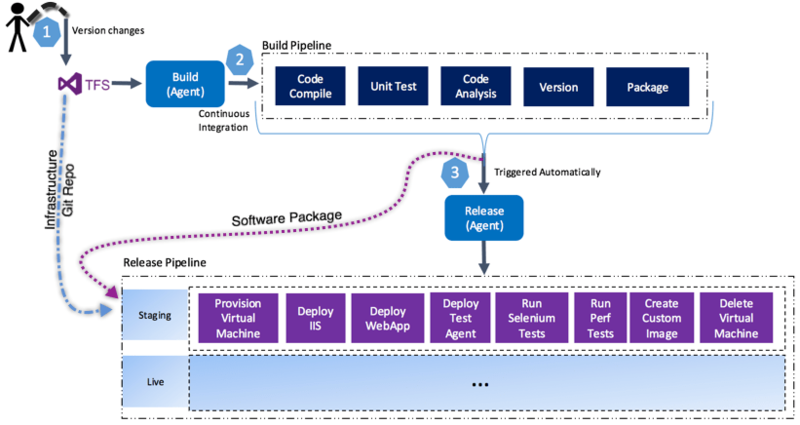 With the introducing of Azure DevTestLabs and the complimentary VSTS extension it is easy as ever to deploy infrastructure as part of your release pipeline. Hope you found this blogpost useful. 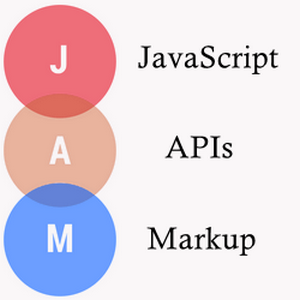 Leave a comment if you would like me to share the underlying source, build and release definitions used in the blogpost.